Looks like it's just the case buttons not pressing on the micro switches properly. New case needed I think. Problem started this week. Locking/unlocking the car from the inside no longer works. Also cannot lock the car doors from the outside. 5the alarm sets and the boot locks/unlocks but the 4 doors don't. my 2006 LHD model has same problems. I split up one fob, replaced the battery but no succes. I tried to look foat the splice, but couldn't find it either. I looked on the right hand side (passenger side on a LHD), located the big loom that recently found itself under water, and carefully took all the tape off on the whole length to have acces, but never found the splice. 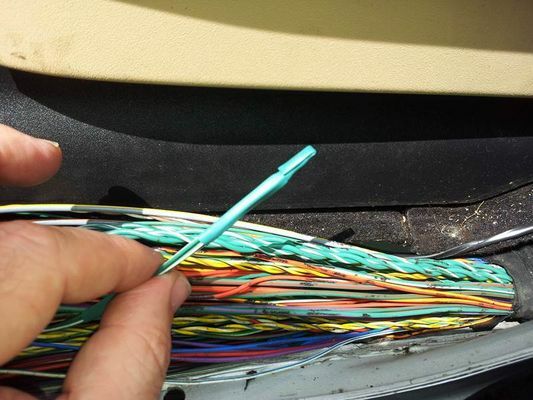 I found a tiny splice of very thin green n white wires, one leading to the back and two to the front, but none with three bigger ones ending all in the same direction. manipulating the small splice while pressing my fob did not do anything so I figured it wasn't the right one. 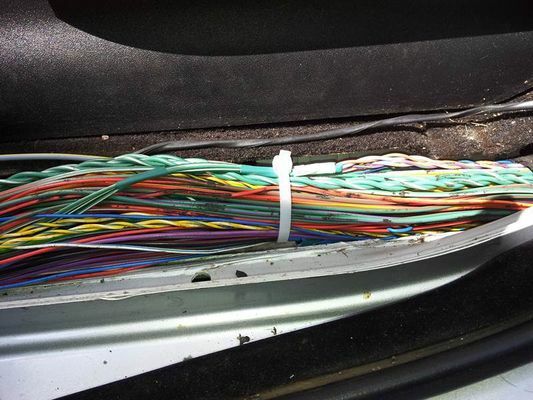 I also uncovered the driver side footwell, the one that was never wet, but didn't find green n white wires there, apart from the ones going under the electrical seats. is the LHD different to the RHD in that subject? yep i think it is. didn't take pics and can't remember now if one got to front or two but it's just very thin wires. I recognise also the spline with the red n black wires. did you fix the problem? well, I cut out the splice today and soldered about 10 cm new cable between the 3 wires. taped it all up good, but no difference. 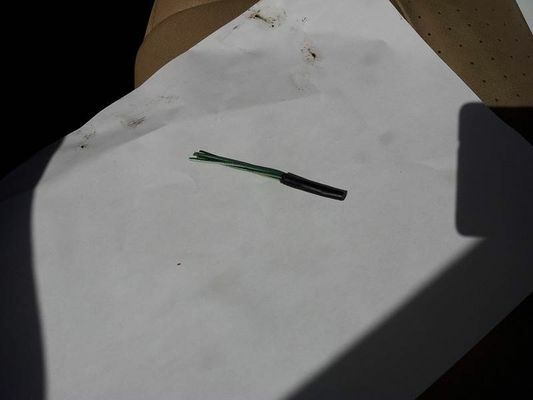 apparently it was not the splice that was feeding the receiver obviously. looked again for another splice to no avail. Mine looks to be the buttons on the fob not pushing the buttons on the key circuit board properly. Awaiting the arrival of the new key case. soldered a new battery and installed the new casing. tried even without casing but nothing. nor the old key, nor the new. I don't think I found the right cables (splice) to repair. They were the only ones there. One form the front, one from the back and the other from under the seat. maybe they changed colours or gotten rid of the splice along the way. but my loom looked liked yours. Same here. Same problem with my 55 reg. Just done the splice on passenger side. No luck. 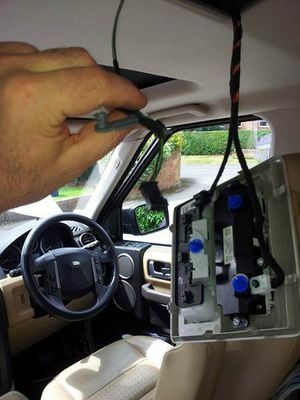 Doesn't work on any of the 2 keys, but wos very weel from inside the car. 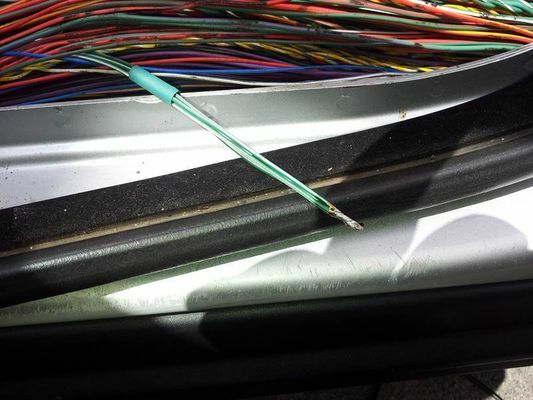 Is there a splice on driver side too? connector, bared the wires, wrapped them together, soldered them solid, protected with heat shrink and it works fine now. 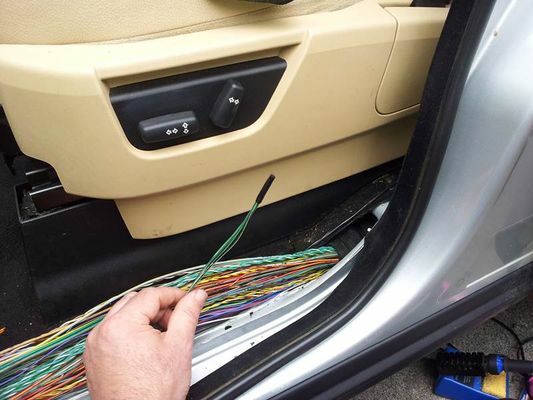 Before doing this I had removed the rear interior light and disconnected the wires, checked the voltage and could see that the radio receiver was not getting the full 12v feed it requires. But this was quite a job to do, so I would recommend removeing the left had sill plastics, finding the offending connector, chopping it off and soldering the wires together and proctecting them with heat shrink or similar and checking if that's fixed the central locking, rather than remove the light and disconnect the receiver wiring plug, check volatges and then put back together. 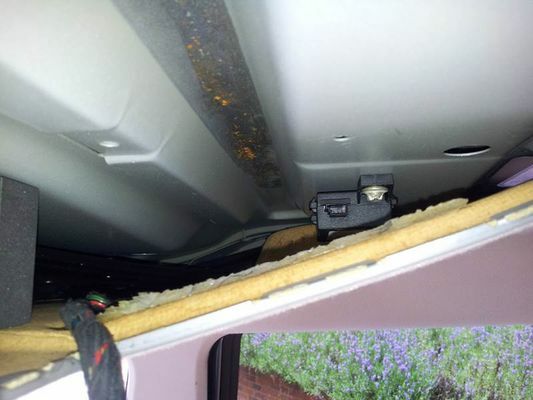 I've now ordered new sunroof drain pipes, to stop the channel filling up with water, which caused the problem with the electrics. Thanks to the posts on this topic, I have fixed my central locking which has been driving me crazy for the last five months and stopped last week, hence the desire to get it fixed. Hi and thanks to all contributors to this thread. The thread that keeps on giving. Had a textbook case on a Disco 3 here in Australia. 1 remote with plenty of signal. No response from vehicle. Manual central locking working. Removed the dome light and checked the green wire with a long probe - no power. Checked Fuse 43 behind the glovebox - power both sides. Pulled off a lot of plastic to reveal loom under front LH door sill. Found long black crimp connector floating loose at bottom of trough - wiring rotted off flush with end of connector. Stripped soldered taped and heatshrunk. hi guys know its an old subject had the no response from remote and searched for this. the only problem i had was removing the black cover over the loom.in end just snapped it into three lol. and yes remotes all fine again and easy to find the splice. wasn't full of water just a bit damp .will investigate when weather improves ,not good working at side of road. I had the same problem with the remotes not working. 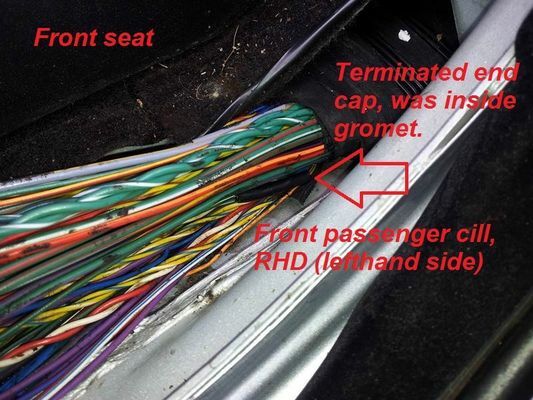 I followed the instructions on this post to locate the splice 2" past the spur that goes under the seat. I was initially dubious because the integrity of the original splice connection looked good. No loose wires or corrosion, but I thought it's worth a try. So, I cut the old splice off and then reconnected the 3 wires and.... hey Presto, it worked. This site is amazing. Thank you all for your posts. I'm sure it's saved me hundreds of pounds.